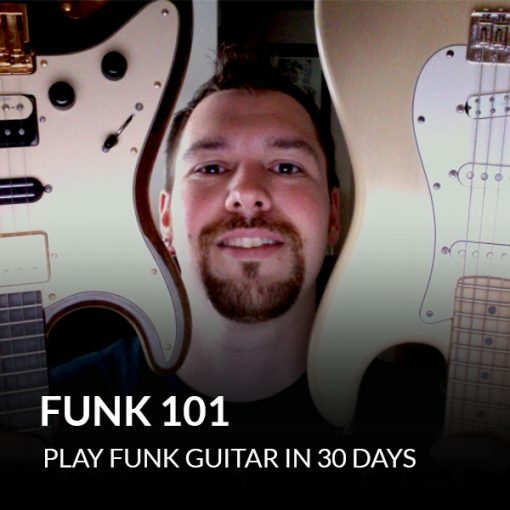 An introduction to the basics of funk strumming and rhythm. 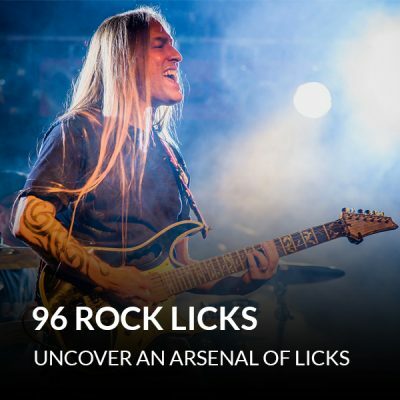 So you can add percussion and flavor to your guitar playing. Find out how to hold, release, and mute chords, so you can get that funky staccato “scratch” when you strum. 5 funky strumming rhythm examples, as well as pro tips on synchronizing your left and right hands. So you can play in perfect time with the music. 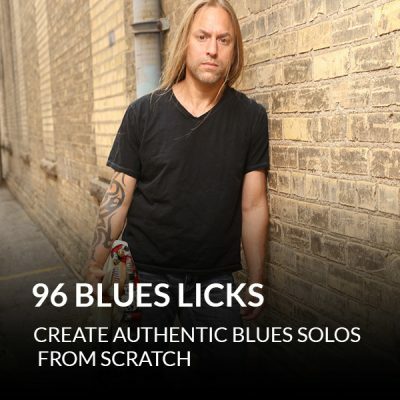 Discover crucial funk chords, like moveable 9th chords. 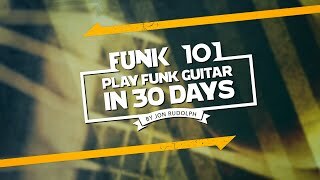 So you can create the distinctive “funky” sound with your rhythm playing. How to play the vi7-ii7-V7-Imaj7 chord progression. And tips on how to get comfortable with these new chords, so you can change chords comfortably. Find out how to add single-note lines to your funk playing. So you can mix things up and add melody to the rhythm. How to use “sliding sixths” to keep a static chord interesting. Which means, you can keep things interesting, even if you’re only playing one chord. Discover easy ways to make chords more interesting. So you can add a funky feel to any chord progression. 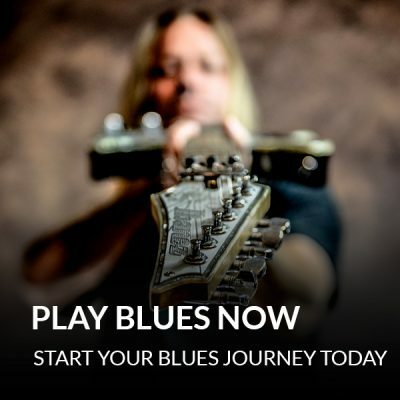 Find out how to use minor pentatonic scales over major 7th chords. So you can play interesting melodies with a simple scale pattern. 1 awesome way to change between an A chord and a D chord. So you can make a simple chord progression fun to play and interesting to hear. 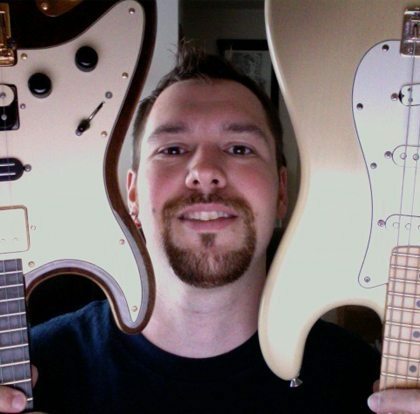 An interview with John Rudolph, conducted by Steve Stine. John tells Steve why he started playing the guitar, the two of them talk about music, life, and more.